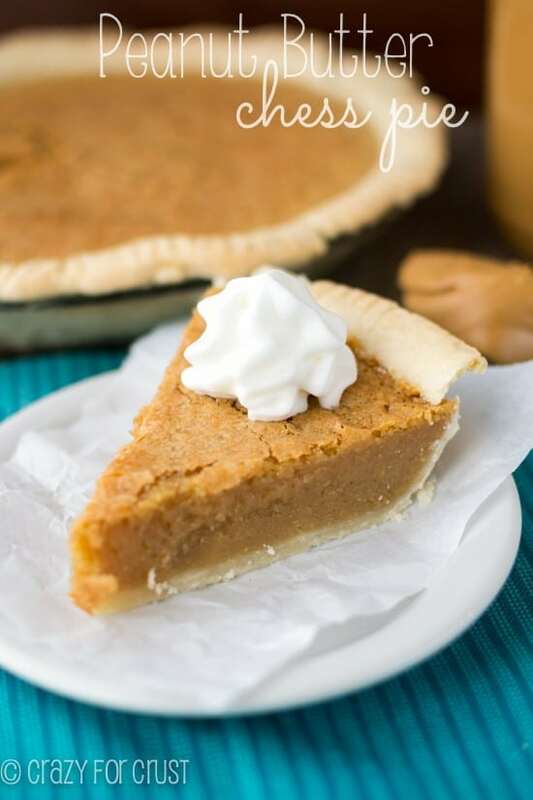 This chess pie is the best ever – it’s a Peanut Butter Chess Pie filled with peanut butter goodness! Like, oh my goodness I have a new addiction: this pie. It’s peanut butter. It’s chess. It’s a peanut butter chess pie. Okay, so you probably know very well by now I am addicted to peanut butter. Also, because you’ve seen this napkin in about 100 of my posts, I’m addicted to teal. And to pie. But the pie part…that’s kinda obvious. So along with peanut butter, pie, and teal, my new favorite thing is chess pie. Before a week ago, I’d never had a chess pie. Before last year, when Ashton introduced me to them, I’d never even heard of chess pie. Third, chess pie is a pie that’s filled with a mixture of eggs, sugar, and butter. You can add nuts (and it would be similar, I think, to a pecan pie) or flavorings, like lemon. Lemon Chess Pie is a very popular version. Ashton loves to put cookies in her pie, and add the chess mixture on top, kind of like a bread pudding…only different. And better. This chess pie? Is an egg, butter, and sugar version. With peanut butter. When I was researching chess pie, I realized how many different methods there are of making them. 3 eggs, 4 eggs. Use milk, don’t use milk. Cornmeal, flour, vinegar. There are so many different little ways to make each chess pie special. This recipe, inspired by Ashton’s, uses cornmeal and vinegar. A majority of the recipes I found use those two ingredients. I also used flour, for assurance that the pie would set up. Oh, and did I mention the peanut butter? Yes? Good. 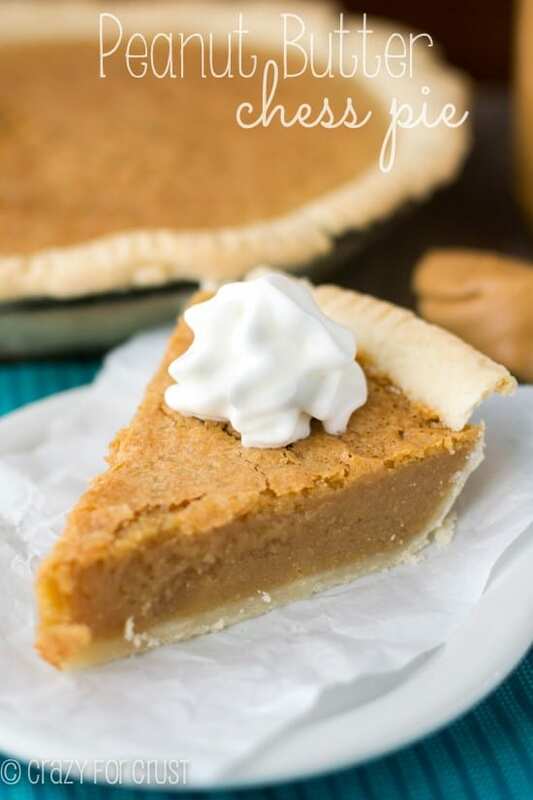 This pie is smooth and creamy, not at all jiggly (my pie requirement) and it’s so peanut buttery it’ll knock your socks off. It’s like eating a spoonful of the center of a peanut butter cup, with a crust. So, yeah. This pie. Add some ice cream. Or whipped cream. Or chocolate sauce. Then die and go to heaven. Your relatives will LOVE you for this pie. Place pie crust in 9” pie plate and crimp edges as desired. Chill until ready to fill. Whisk together butter and peanut butter. If the peanut butter is too stiff to whisk, microwave it for about 20-30 seconds. Whisk in eggs, sugar, cornmeal, flour, vinegar, and vanilla. Pour into prepared pie shell. Bake for 35-45 minutes, until crust is browned and top of pie is browned. It will still jiggly slightly in the middle. Mine took 40 minutes. Cool completely before cutting. Serve with whipped cream or ice cream, or chocolate sauce. Thanks for reading Diane!! Have a great weekend! I have heard of chess pies & I have baked chess pies, so that’s why I am totally confused. I followed the recipe exactly, even covered the crust edges with foil. I let the pie cool completely and when I cut it, it was like soup! Is there enough flour in the recipe? 1 tablespoon? The batter was thicker than the baked pie. Bummed! That’s so strange! I’ve made this a few times with success, and most of my chess pies have only a bit of flour. What kind of peanut butter did you use? Possibly it needed to be baked longer as well, all ovens bake differently. How long did you bake it? Well it was sooo my fault on my pie not turning out!!! Only my top element was working (which is why the top got too brown). I had no idea the bottom element had gone out. 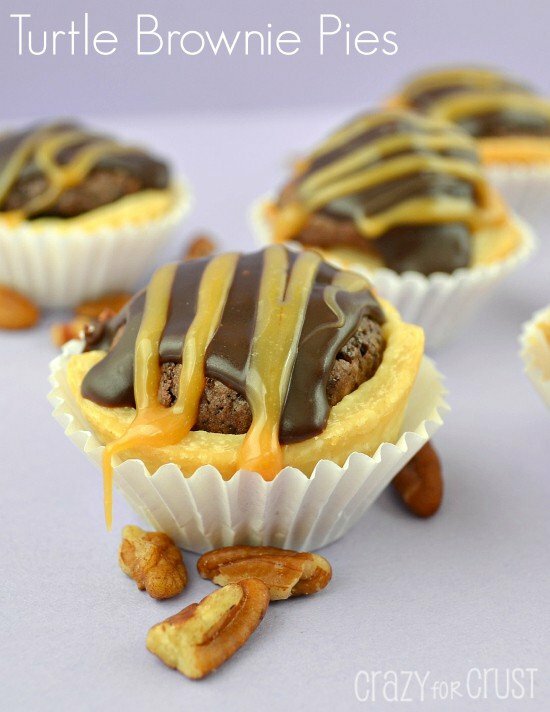 I will definitely try this recipe again & try to bake it this time! Thought I had lost my mind. Thanks for your quick response trying to help me out. That’s the worst!! We had that happen once, a long time ago. Hopefully it gets fixed quick! 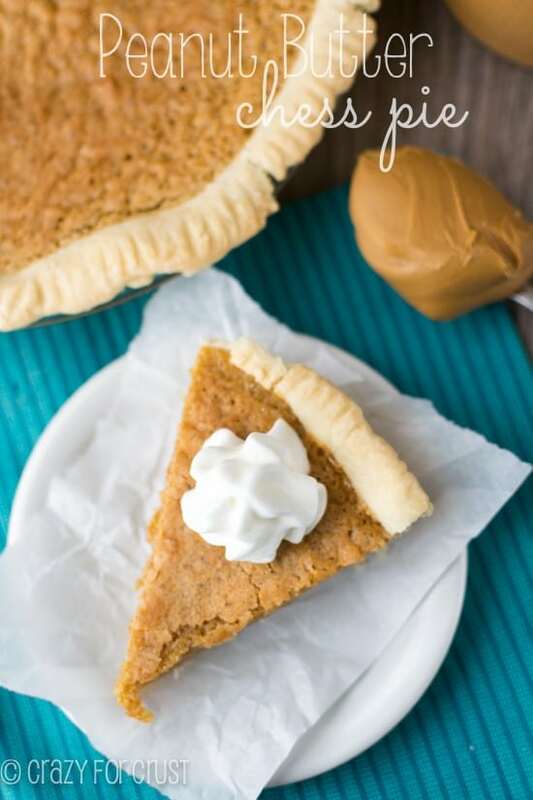 I am a peanut butter lover too and this pie sounds amazing. I am making this for a party however there are some who are less fond of peanut butter. Could I use the same recipe and omit the peanut butter to make a plain chess pie? I want to bring the same thing only a little different. Thanks. I have no idea why I’m just discovering this post now, but I’m so glad that I finally did!! Chess pies are great, and when you add peanut butter to anything you just take it to the next amazing level in my opinion!! I have to comment though that I was a total geek for the game Risk -haha!! My friends and I played every single Sunday for years on end!! Chess on the other hand I could easily pass up…not the pie type though :-P.
I gotta admit, I am so addicted to peanut butter right now that it has become a recurring theme for me at school. I’m doing a project on the history of peanuts and peanut butter in South America for cultural connections. Also, board games are the best. Is the vinegar 100% necessary? 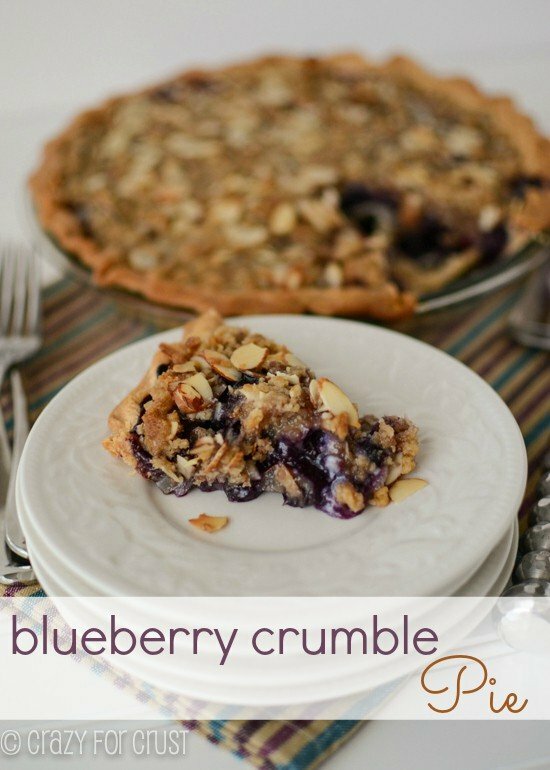 What does it do to the pie texture and is there a substitute I could use in it’s place? 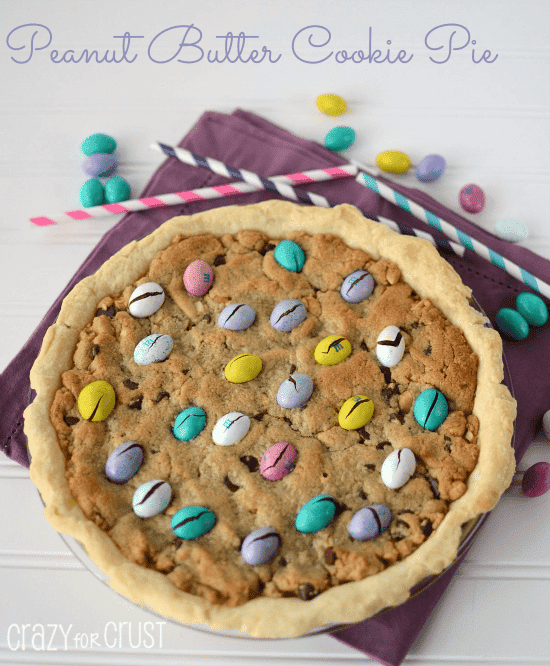 I am one of the lucky few people in this world allergic to vinegar, but I NEED this pie in my life! All of these Recipes are just amazing! Delicious! The Peanut Butter Chess Pie was so delicious! Topped it with some chocolate syrup and whipped cream. Hi ya’ll! Being from the south and according to my hillbilly roots, I have a tidbit of passed-on terminology, lol. 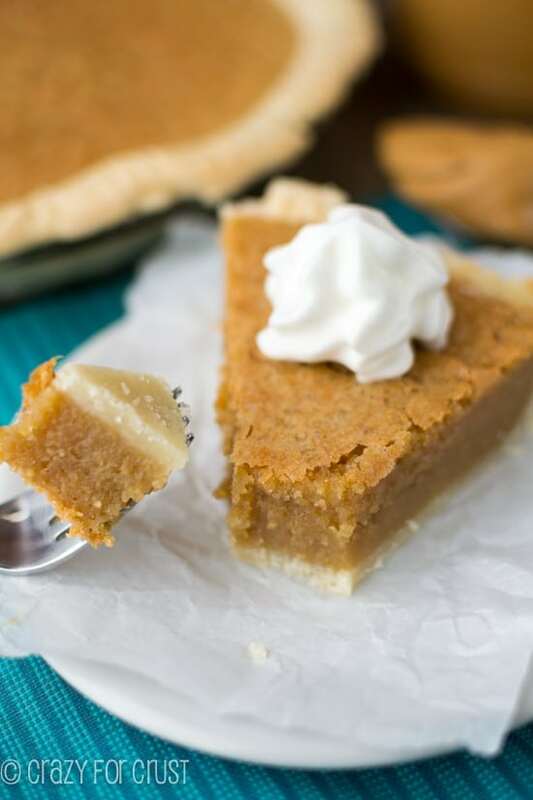 The term “chess” pie originated from the the term “just” pie. It is pronounced in the south and other parts as “jess” pie. For example: “what kind of pie is it? it’s “jess pie”(just pie). A really good one, I might add if I may. Hold something go in place of cornmeal. Due to corn allergy I can’t use it but would love to try pie just not sure what would replace the cornmeal.